Are You Letting the “How” Stop You? I talk to a lot of writers on a daily basis, and a common thing I’ve noticed is, they all have big, huge dreams for their writing lives. They want the bestselling novel and the movie deal and to be a household name in the reading world. Problem is most of them will never get it. And it’s NOT because they don’t have what it takes to get it (well, maybe some of them don’t). And all of these non-allowing and non-actions stem from one thing: not knowing HOW something is going to happen or HOW it could happen… and using that as a reason not to start (or continue). And here’s the truth: the HOW doesn’t even matter. It doesn’t matter! You never, ever need to know how you’re going to do something or make something all happen. All you need to know is what you want and be committed to making it happen, regardless of what the how ends up being. I read a lot of books about manifestation and creating your dream life, and something that has been repeated over and over in lots of different ways in these books is this: just moving in the general direction of your dreams is enough. And what that means is, start from where you are. Take whatever action you can take, right now, today, and don’t worry about the rest. By taking that action, you are signaling to the Universe that you’re ready for more and you’re ready for your dream writing life. You don’t have to know the HOW. You don’t even have to take linear actions. You just have to take action, period. And sure, some days it may feel like you’re throwing darts randomly, with no idea where they’re gonna stick or even if they will. But as the late Steve Jobs always said (and I’m paraphrasing here): the pieces don’t add up ’til you look backwards at them. So right now it may feel like you’re just doing random things that aren’t really adding up, but when your dream writing life begins to manifest in your reality, you’ll be able to look back at all the seemingly random things you did over the years and see they were actually amazingly perfect stepping stones to where you wanted to be. The Universe always knows the fastest, easiest way to get us where we want to go–because the how is up to the Universe. So as long as you don’t muddle in the hows or worry about the specifics of how you’ll make something happen, and instead just know what you want, focus on it and then take whatever actions you can think of from where you are with what you have right now, you can trust that the dots will be connected and it will lead exactly where you want to go (or somewhere even better!). Now this is all a lot of woo-woo stuff, which I’m into. But I also like to ground it out with examples. Let’s say you want to be a bestselling author. That’s the goal you’re focusing on. Now at this point, you have no idea how you’ll make that happen, but you’re going to trust that as long as you do what you can with what you’ve got from where you’re at, that the Universe will show up for you and connect all the dots. Intend what you want–do this over and over again. Intend not only what you want–to be a bestselling author–but intend it like it has already happened: I am a bestselling author, all of my books hit #1. This is what it looks like to take action in the direction of your dreams without messing with HOW you’re going to make that specific dream happen. I wanted to show you this example too, because this is the version that most people do. Most people try to mess with how something is going to happen, instead of just taking action in its general direction. Publishing the book you’ve decided is going to be your bestseller and then spending weeks, months, maybe even years marketing it–maybe to some degree of success and maybe not. The idea isn’t to pick a book you want to have become a bestseller and then turn it into one. It’s to write lots of books and trust that as you do, one of them will be the one that tips the scales in your favor. Refusing to write or even focus on another book until the one you’ve already published is a success–rather than just writing and publishing and then writing and publishing again, you’re focused on this one specific book being successful. That is, again, messing with the hows. It’s not up to you to decide this will be the book that makes you a bestseller. It’s up to you to stay focused on being a bestselling author, and a bestselling author doesn’t just write and publish one book, right? By being so attached to this specific book being the one that makes you a bestseller, you are limiting all other options and possibilities. That’s messing with the hows. Don’t do that. And one final example, this time from my real life. So in February this year, I met my current mentor, Kat Loterzo, who is the author of 47 books (46 of which have been bestsellers on Amazon). Before I met her, being a bestselling author was something I wanted, but it wasn’t something I was allowing myself to be open to. And why? Because I couldn’t see HOW it would happen! But when I met Kat, it finally dawned on me: I don’t have to worry about how it will happen. I just need to trust that by being open to the possibility of becoming a bestselling author, and doing the work, the how will take care of itself. So I wrote down that I am a bestselling author. I declared it and I decided to be open to it. Soon after I got the idea for a 30-day “align your writing habits to success” challenge that I would do to help clean up my writing habits and get aligned with being the bestselling author I wanted to be. Then I invited my community to participate with me and more than 100 people signed up to join in. 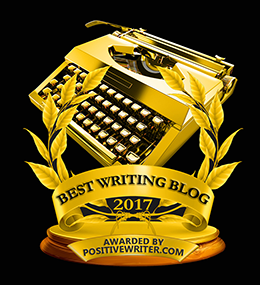 When the month was over, my writing habits were completely overhauled and I was inspired to share the challenge with more writers. I decided to turn the challenge content into a multimedia, interactive eBook. I put that book together in 15-minute daily sessions over the course of 30 days and then published it. During that time I also committed publicly that I’m going to write and publish one eBook a month for the rest of the year. I had a book idea in my mind that I was going to write after I published the writing habits book. In my mind, this new book was it. It was going to be my bestseller. It’s a book the writing world has needed for a long time now. So I just put the Align Your Writing Habits to Success eBook out there with minimal promotion or even attention paid to the launch, because I was ready to move on to the next eBook. And then I discovered the day it launched that it was at #3 in its category! And a thought hit me: what if this is the one? Could I get it to #1? I jumped in and actively started telling people about it, sharing the book, making short teaser videos for Instagram and telling my friends and family on my personal Facebook page about it (which I don’t always do). And this time I told them I wanted to hit #1 and I asked them to buy the book. And then it happened. My book, Align Your Writing Habits to Success, hit #1 on Amazon in the authorship category, stayed there for a day and a half, and then went back to #1 a few days later. I didn’t even have one shred of a thought that this book would be the one to make me a bestselling author…until I saw it at #3 and realized, with some effort, I could pull it off. Now yes, I did a lot of work to make this happen, but looking back, all of the HOW came directly from the Universe–everything from the inspiration to create the 30-day challenge to the desire to turn it into an eBook to spread the message further to randomly thinking of checking in on launch day to see where the book was at in the rankings (which, to be honest, is something I never really do. But now I will be!). That was the HOW for me becoming a bestselling author. But in order for it to happen, I had to do my part, which was to jump on the inspiration I received back a few months ago when I created the challenge. It was to take action from where I was at. I could’ve instead tried to figure out which book I needed to write to become a bestseller, I could’ve gotten attached to it being one book over another… but instead, I just focused on what I wanted: to become an Amazon bestselling author, and then I acted from where I was with what I had. Magic can happen when you let go of the hows and focus instead on what you want and then taking action in its general direction. What are you going to start taking action on right now, today? And speaking of the book I originally thought was going to be my bestseller, it’s called The Pro Writer Mindset and it comes out on June 14! Get on the waitlist here so you’re the first to know when it’s live. Prev Are You Suffering From “Carry-Over Tasks” Syndrome? Keep killin’ it Jennifer! You inspire me and I’m sure many others to rethink how we approach writing. Thanks? That was supposed to be, ‘thanks’! Check before posting…such a simple thing.